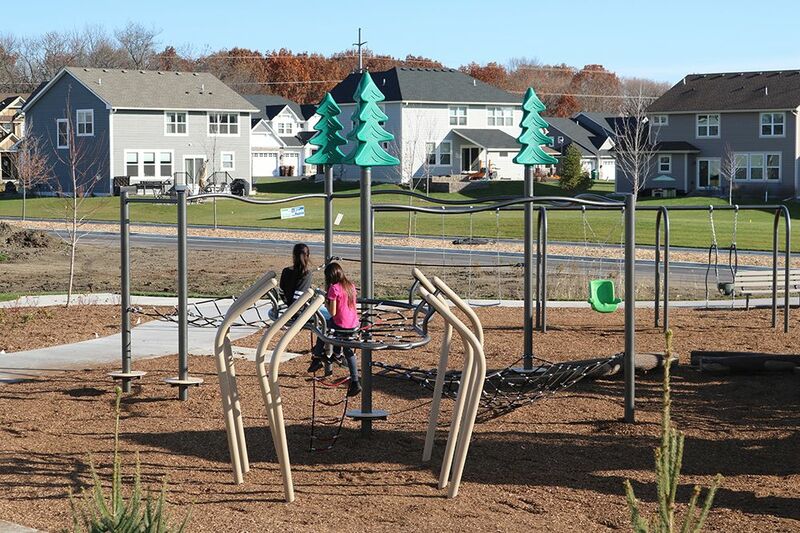 Minnesota Wisconsin Playground partnered with the City of Dayton to enliven a new neighborhood with an eye-catching playground. 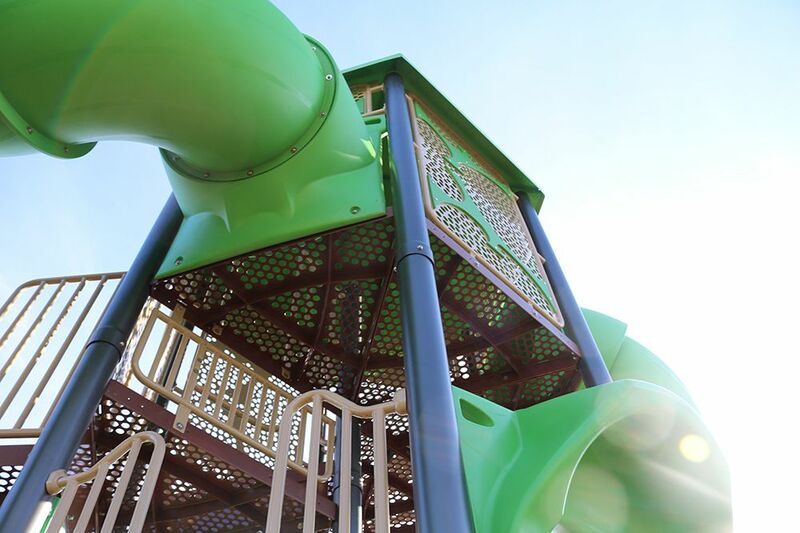 Sundance Woods Park opened in October and immediately became a community destination with Minnesota's first 12' tall Citadel Tower from GameTime. 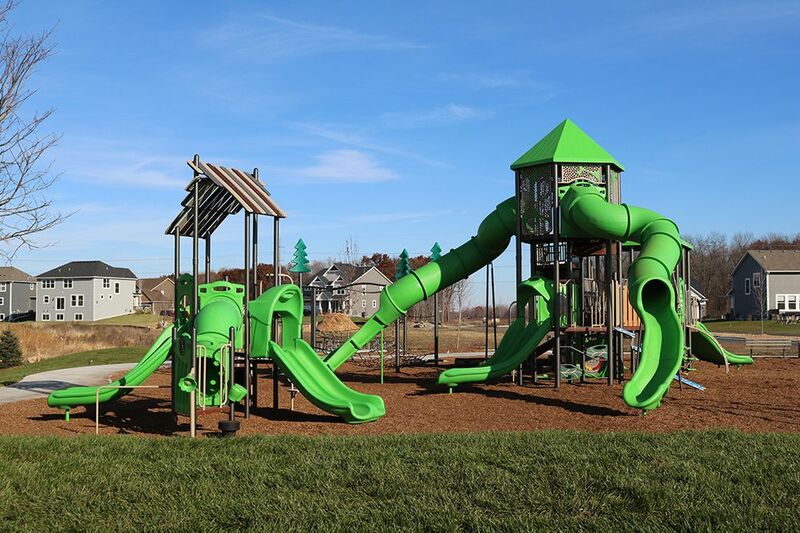 The park also features a massive zip line, nature-inspired glass fiber reinforced concrete (GFRC) climbers, net structures, Expression Swing, and more. 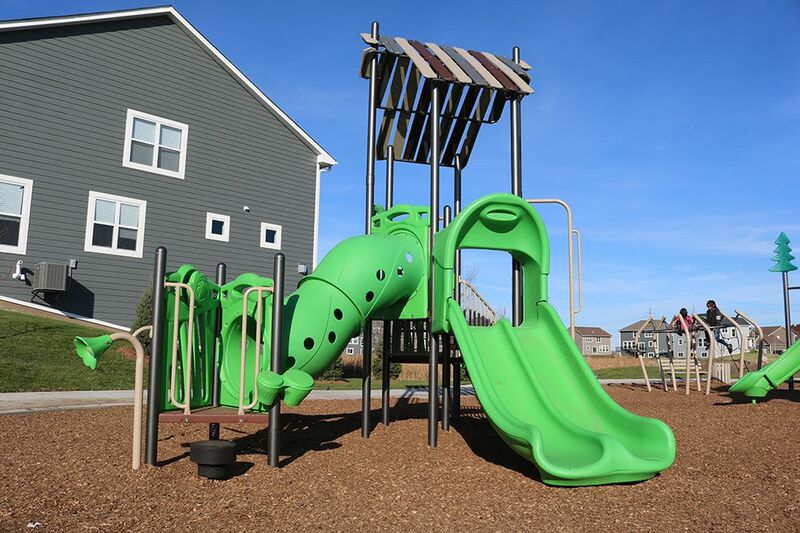 The play equipment was purchased with grant funding from GameTime, which enabled the City to broaden their expectations and plan a larger playground for the community.